yeah, I hear ya! I dedicate a whole Sunday post to my website addictions. Those red bow sandals are soo cute. I posted my wishlist yesterday! I love my Skunkboy Creatures t-shirt, it is so soft!! Have a lovely day! Holy crap! I have not seen this girl! 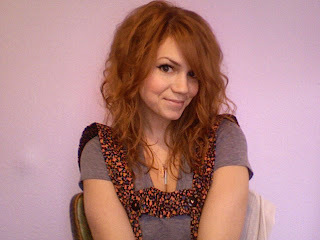 Her hair is awesome, and her outfit, and her eyes. Oh my goodness! She is the whole package! You're such a cutie! I am diggin' the Broken Bells album for sure. Must purchase vinyl! you're so pretty! i also adore that hello kitty bag. i've been having a yucky case of the wants lately too... please follow! gasp! am i just trippin, or are you wearing lederhosen in that photo? You make such wonderful things... I especially love your giraffes! It looks like spring time today here in Idaho... so I am dying for some new shoes as well! UGHGUGJUGH she is sooo cute right? But nostalgic pop has that awesome skin! I feel your pain. I do. Simply Vanilla and chocolate rumor to... that one has got my interest seriously piqued. Online shopping is the devil - in a good way. :) It steals your time, but sometimes it is sooo rewarding! I want She and Him Volume Two to be released RIGHT NOW! 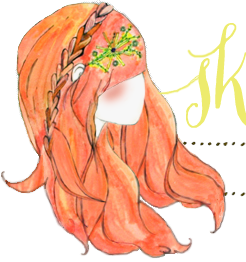 I love you blog and you are so lovely! holy monkey pies i must have that purse. 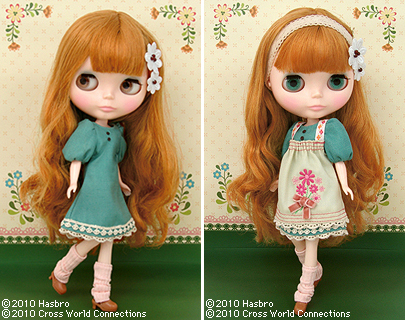 ugh, i want her too so much, that hair is just the best!! I am wanting a new phone, my boyfriend got his snatched! gaaah!! Those wants are just the cutest!! I'm new here and thinking it'll be a fun place to visit! The pictures are lovely and inspiring. And I'm loving the shoes! Loving those sandals... too cute! Oh, Jodie! Putting the Lele scalp on NP would be GORGEOUS!!! 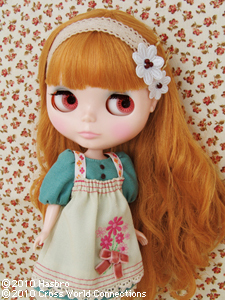 That blythe is soooo pretty!! What is her name? I haven't seen her before.